Our Ambassadors support Into Film in many ways, from visiting young people in their schools and colleges, to supporting our annual events such as the Into Film Awards and the Into Film Festival. They hail from across the nations, and help us champion film and its use in education across all parts of the UK. Our Ambassadors are made up of those actors and directors from the film and entertainment industry who have shown genuine interest in Into Film's work and would like to inspire a new generation of young people. 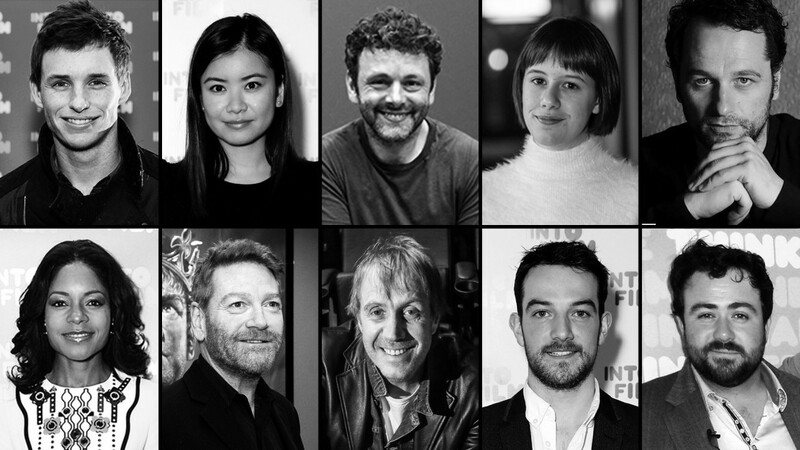 We're delighted to have the passionate support of so many brilliantly talented people, and hope to continue bringing both more well-established and up-and-coming talent into the Into Film ranks. We'd like to extend our thanks to all of our Ambassadors for everything they do for Into Film, and for the schools, teachers, parents and children that benefit from the Into Film offer. 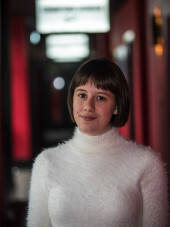 "I went to the Westminster Academy with Into Film and saw first-hand the impact that all aspects of film can have on young people - the power to inspire, connect and expand our understanding of ourselves and the world around us. I absolutely loved the day, it was wonderful to meet so many young, galvanised people who were all keen to find out more about the film making process. I hope through being an Ambassador for Into Film I am able to help raise awareness of how film can contribute to their cultural and creative lives." 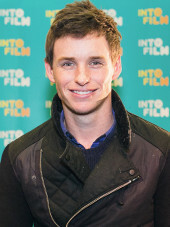 Eddie Redmayne is an Oscar®-winning English actor, who made his name with roles in films such as Les Misérables and My Week with Marilyn, and has gone on to be one of the most recognisable actors working today. He received huge critical acclaim for his role as Stephen Hawking in the moving biopic The Theory of Everything, and swept the board during award season, picking up the Oscar®, BAFTA®, Screen Actors Guild and Golden Globe awards for his nuanced, engaging and hugely affecting performance. Now one of the most in-demand actors of his generation, Redmayne is currently best known for his role as Newt Scamander in the Fantastic Beasts franchise. "I am very honoured to be an Into Film Ambassador, and hope to inspire youngsters in Scotland, as well as to encourage fairer representation and gender equality within the film industry." Katie Leung is a Scottish actress who famously starred as Cho Chang in the beloved Harry Potter franchise, and has garnered international recognition with critically acclaimed performances across film, television and theatre. Leung was recognised as a prestigious BAFTA Breakthrough Brit in 2014, and has had a hugely varied and exciting TV and theatre career, taking lead roles in BBC2's television drama miniseries One Child, Mia Chung's You For Me For You at The Royal Court Theatre, and the Royal Shakespeare Company's production of Snow in Midsummer. She starred in ITV1 series White Dragon in 2018, and animated TV series Moominvalley in 2019. She has also appeared in several prominent films, including The Foreigner with Jackie Chan and Pierce Brosnan. "Films have educated me as much as school has. Through film young people can broaden their horizons, be inspired to recognise their potential and tell their own stories so the rest of the world may one day hear them. I think film can play a really important role in the development of children and young people. It can inspire and challenge. It can educate and inform." Michael Sheen is a Welsh actor of stage and screen, who has starred in films as diverse as sci-fi adventure Passengers and historical epic Kingdom of Heaven. Sheen is known for his roles in biopics, starring as Tony Blair in several feature films, including The Queen, and as renowned football coach Sir Brian Clough in The Damned United. 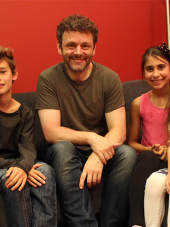 Sheen is also known for his charity work and is a passionate campaigner for several causes, particularly in regards to his home country of Wales. "I am honoured and excited to be able to inspire a new generation of actors and filmmakers in the North West and across the UK on behalf of Into Film." In a very short space of time, Ruby Barnhill has established herself as one of the best young actors working today. She rose to fame in 2016 when she was just twelve years old, as the star of Steven Spielberg's The BFG opposite Mark Rylance, and has since appeared in television series 4 O'Clock Club and as lead voice actor in Mary and the Witch's Flower. She is next to be heard lending her talents to another animation, Princess Emmy, where she will voice a young girl who can speak to horses. "I wanted to support Into Film because to me, film is on a greater human level, it's educational and helps all kinds of people understand themselves and learn about the world around them. I also think it lends itself like no other medium to the education sector in the way it can inspire young people to learn in a modern and engaging way." Matthew Rhys is an acclaimed Welsh actor of film and television, having starred in films such as Patagonia, The Edge of Love and The Post, and won an Emmy Award for his role in acclaimed TV series The Americans. Rhys has been Into Film Ambassador for Wales since 2015. "I'm thrilled to be an Ambassador for Into Film. I find it incredibly rewarding to be part of an organisation that uses film to inspire, educate and motivate young people. Into Film has the ability to help set those involved on a journey of discovery, edification, creativity, storytelling and more, which I hold dear to my heart." Naomie Harris is an English actress who featured in James Bond films Spectre and Skyfall, as well as Mandela: Long Walk To Freedom, and was nominated for a Best Supporting Actress Oscar® for her role in Moonlight, one of the most significant films of recent years. "I'm delighted to be an Ambassador for Into Film in Northern Ireland, and keen to highlight what a wonderful resource it can be for young people in a country very close to my heart. I hope I can assist with promoting the education opportunities that Into Film provides in Northern Ireland, and getting as many young people as possible inspired by great films." 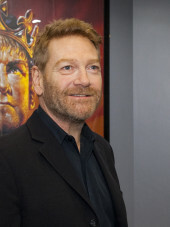 Sir Kenneth Branagh is a noted Shakespearean actor and director, and is a hugely experienced and influential member of the British film industry. From acting in films such as Hamlet, Harry Potter and the Chamber of Secrets and Dunkirk, to directing features such as Thor, Cinderellaand Murder on the Orient Express, Sir Kenneth's film credentials over the past three decades speak for themselves. Born in Belfast, Sir Kenneth is a passionate supporter of Into Film Northern Ireland, and the work Into Film does in schools from disadvantaged areas. "I have admired Into Film Cymru for some time now. The opportunities this charity offers for young people in Wales today and how it supports teachers to utilise film in order to engage and motivate all pupils is amazing. Becoming an ambassador of Into Film Cymru is an honour, and I will do all I can to support the team to maximise the power of film in realising the potential of the next generation, in each and every community across Wales." 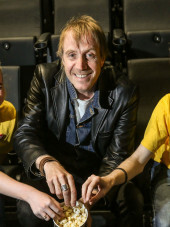 Rhys Ifans was born in Haverfordwest, Pembrokeshire, Wales, in 1967. After attending youth acting schools at Theatr Clwyd, Mold, and training at the Guildhall School of Music and Drama, he did a lot of stage work and appeared in many Welsh-language television shows such as the comedy Pobol y Chyff. His first film role was in the Swansea based film Twin Town and he gained international exposure with his supporting part in Notting Hill. Since then he has taken on a hugely diverse and exciting range of film roles including Enduring Love, Mr. Nobody, The Amazing Spider-Man, Harry Potter and the Deathly Hallows Part 1 as well as lead roles in films like Danny Deckchair and Mr. Nice. He most recently took on the role of Dylan Thomas in Dominion, which documents the last days of the iconic poet's life and features in the soon to be released Official Secrets. "Can I just say what an honour it is, first and foremost, to be the new ambassador in Scotland for Into Film. That's a huge honour so thank you very much. In this room and beyond are a collection of the most inspiring youths I've ever come across in my life so well done everybody. You're all winners in my eyes." - Kevin Guthrie, speaking at the 2018 Into Film Awards. 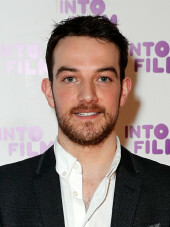 Kevin Guthrie is a gifted and experienced actor who began appearing in feature films from the age of 11. After leaving the Royal Scottish Academy of Music and Drama to play the title character in the National Theatre of Scotland's Peter Pan, he took a wide variety of film, TV and theatre work. As well as starring in Sunshine on Leith and Edie, Guthrie has appeared in Sunset Song, The Legend of Barney Thomson, Whisky Galore, Dunkirk and the hugely successful Fantastic Beasts franchise. "It's a very exciting time for film in Wales and I'm thrilled to be part of it and honoured to be made an Into Film Ambassador. The work Into Film achieves and delivers is very exciting and essential in developing new voices for Welsh Film, from the building of emotional literacy through their after school film clubs to the strengthening of self identities through their film making opportunities. I genuinely see this as an opportunity for me to plug straight into a creative mainframe of Welsh film." 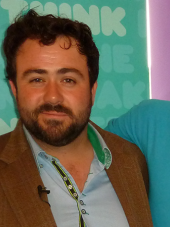 Celyn Jones is a multi-talented actor, director and writer hailing from Holyhead, in North Wales, who works to support our work in Into Film Cymru. Jones played Swansea-born poet Dylan Thomas in the 2014 film Set Fire to the Stars, which he also co-wrote, and has starred in numerous television series. Jones is set to portray Winston Churchill in the upcoming true-life drama, Born a King.